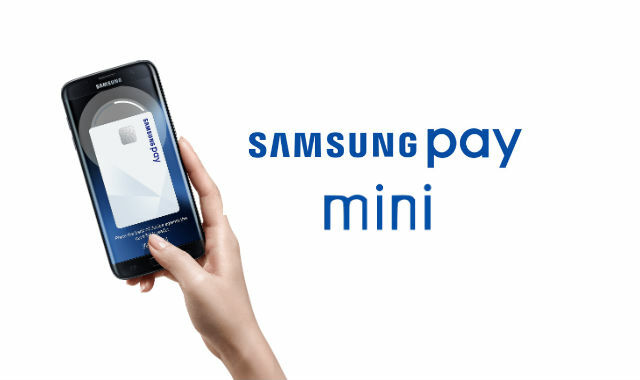 In their home market of Korea, Samsung has today announced the impending launch of Samsung Pay Mini, a modified version of their payment service but available for non-Galaxy devices. The new service which will launch this quarter with a major announcement and event set for February 6th, will allow customers in Korea to use Android Pay Mini on any Android phone running Android 5.0 (Lollipop) or higher, and with a minimum HD (1280×720) resolution display. The new service will involve a new app for users to install which should be available on Google Play, and possibly iOS though Samsung hasn’t announced anything on that as yet. The features of Samsung Pay including the ability to store membership, lifestyle, and transportation cards will be available in this new app – while in Korea the ability to use rewards cards with bonuses tracked will also be available. Additionally, Samsung has partnered up with a number of Korean marketplaces including G Market, Hyundai Department Store and Weizweed to offer a shopping service for Fashion, Beauty and more to buy products at anytime, anywhere. At the launch on the 6th of February, it appears that Samsung will be running limited tests of the service with 5,000 users invited to try out the service. Samsung Pay’s killer feature is the option to use both NFC based, as well as Magnetic Secure Transmission (MST), the technology that allows you to use a non-NFC enabled terminal to make a payment. The Samsung Pay Mini service and app will very likely not include the ability to utilise the MST technology due to the absence of the technology in general Android phones, but NFC should be right to go. Currently only American Express and CitiBank customers are able to use Samsung Pay in Australia, and no further announcements of partnerships with other banks have been announced. At this early stage, Samsung Australia has not had the chance to announce their plans for Samsung Pay Mini locally, but we’ll be following up with them this week.